Google Analytics will show you how your website visitors behave. Through various statistics you see information that is relevant to you. 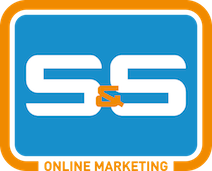 The statistics are very extensive and therefore offers S&S Online Marketing support in setting up Google Analytics. So you get the information you want at any time. With that information, you can improve your website and Google Adwords campaigns. Let S&S Online Marketing adjust your Google Analytics and get more profit from your website. Call, email or fax us and we will make you a suitable proposal. Through our experience we can arrange your Google Analytics and optimize for your website. Following your needs you will receive a monthly report with all relevant information. With our report you will get your visitors, customers, goals and opportunities in one customized report. You have direct insight into the performance of your website and how many customers Google gives you. Even if you already use Google Analytics, we can help you with optimizing this. Do you even know who is visiting your site? Or where they came from and where they go next? What specific individual elements are grabbing their attention page by page? What important messages are your visitors not even seeing? Do they even watching your videos and opening your pdf documents? Do they bounce or buy or browse?